Q1: IF We cannot find the brand code in the List, How to control my TV? A1: It is a good question. as you know, the model also learning programmable. If you can not find the right brand code, or the code does not work for your TV. Q2: We need 10pcs to replace our hotel tv, if need to learn it, any quick step to got 10pcs? 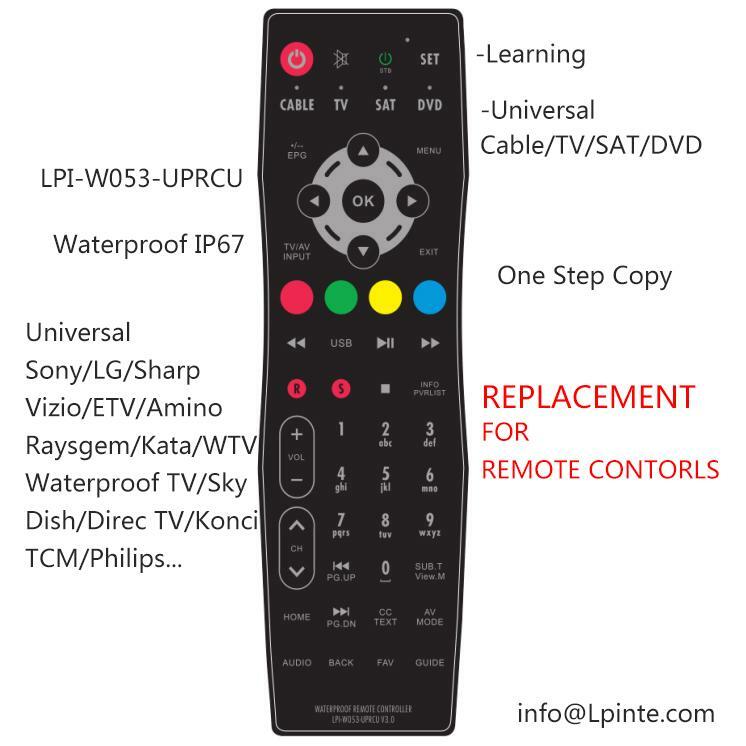 The LPI-W053-UPRCU V3.0 universal learning splashproof remote control has an IP67 waterproof rating allowing use in wet areas and even floats when dropped in the bath. It is pre-programmed with over 2000 codes for TV’s, Satellite Receivers, DVD players and VCR Recorders. Auto search or direct entry makes it easy to select the pre-programmed brands. 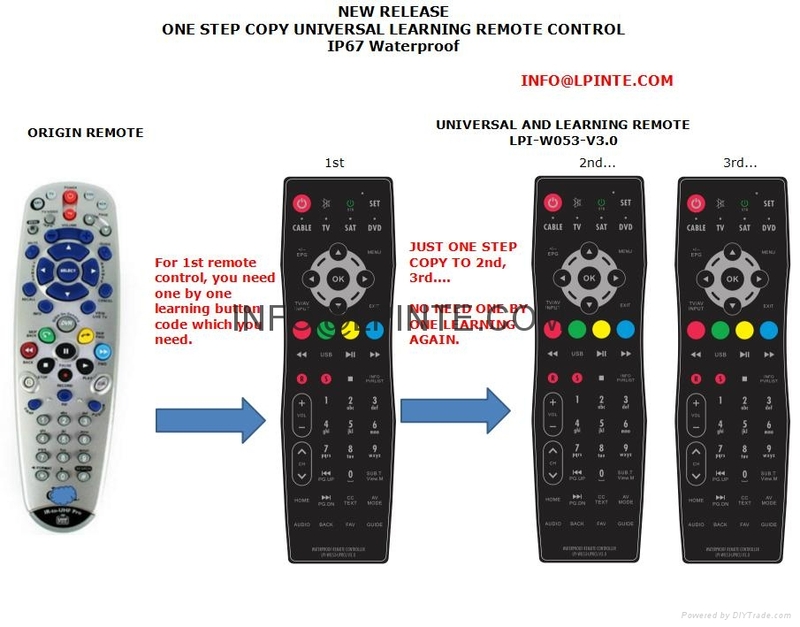 IR codes from any other IR Remote Control can be copied with the head to head learning function and assigned to any button except SET/CABLE/TV/SAT/DVD five buttons. One more smart function is that after you learnt the 1st remote from any ORIGIN remote one button by one button, you no need learning the 2nd like previous intricacies one button by one buttons. You only set up one step that help you easy copy full codes from the 1st learnt remote.